This peanut powder grinding machine is a kind of special-purpose peanut powder making machine. It is the right peanut powdering machine to produce high-quality peanut powder as ingredients for rice dumplings, cookies, etc. 1. 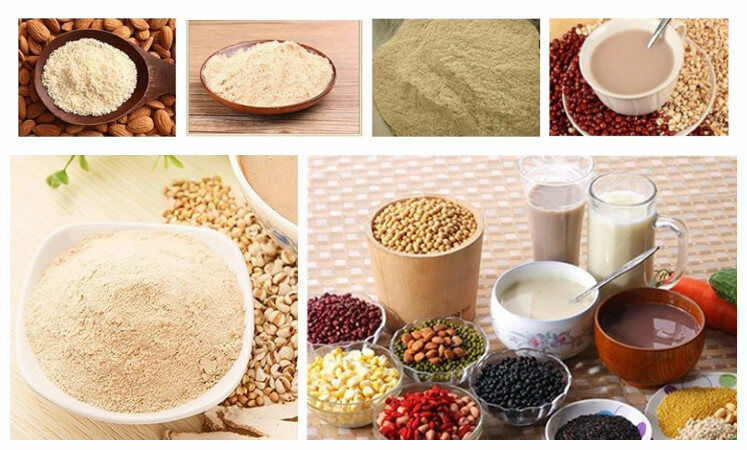 The one-time process can get no-greasy final peanut powder with high quality. 2. 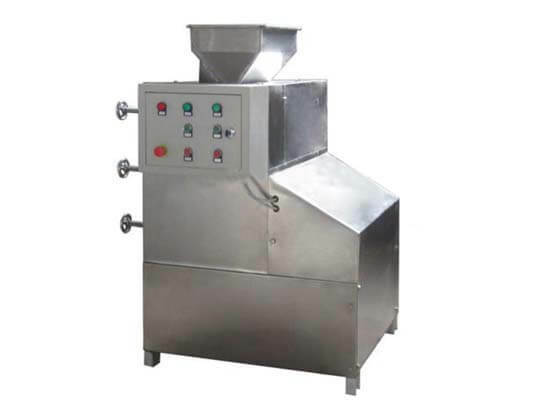 It can serve as a peanut crushing machine to process peanut into granules, and the thickness is adjustable as required. 3. It is a nuts pulverizing machine for many other nuts, such as sesame, almond, etc. 4.Simple operation, high output, high durability, and easy maintenance. 1. The peanut needs to be peeled and roasted before making powder. 2. The machine consists of the 2nd-class hob and 1st-class grinding roller, and peanut powder is produced by the extrusion of the hob and grinding roller. 3. Granular peanut is produced by using a hob without grinding roller, and the thickness can be adjusted from 10 mesh to 80 mesh. 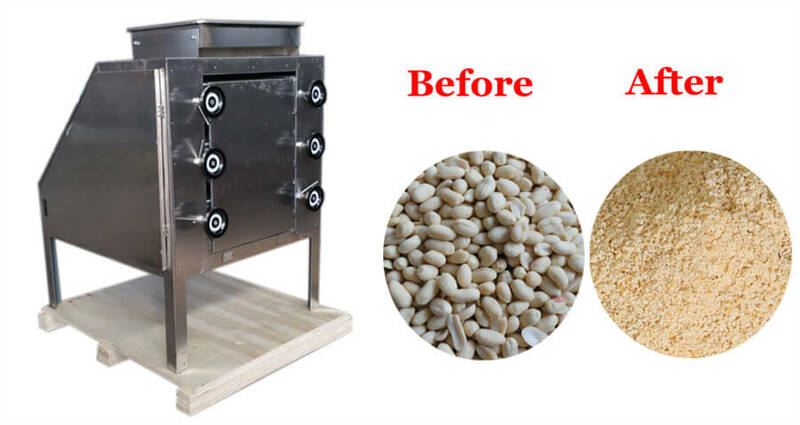 Tips: we also supply peanut red skin peeling machine and peanut roasting machine if you need.